Salons in Ann Arbor, Royal Oak, Novi, Troy and more! Welcome to Tricho Salon, the leading hair salon and spa group in Metro Detroit, voted "Top Design" by Salon Today Magazine in 2014. We have six locations with hair salons located in the best retail shopping mall districts in all of Michigan: Somerset, Twelve Oaks, Partridge Creek, Briarwood and downtown Royal Oak. Each hair salon is individually designed and tailored to our clients, two of which feature spas offering massages, facials and more. Founded in 2003, Tricho continues to be an innovator in the salon industry featuring top hair stylists, designs and products tailored specifically to you. At Tricho, our top priority is investing in the best education for our hair stylists to promote the latest trends and exceed your hair expectations. We understand that hair is your best accessory, and at Tricho Salon all of your hair needs will be met. Tricho Hair Salons have roots that go back to 2003. Recognizing that the beauty business was his passion, the owner of Tricho responded to an opportunity that presented itself to open a salon in Briarwood Mall in Ann Arbor, Michigan. 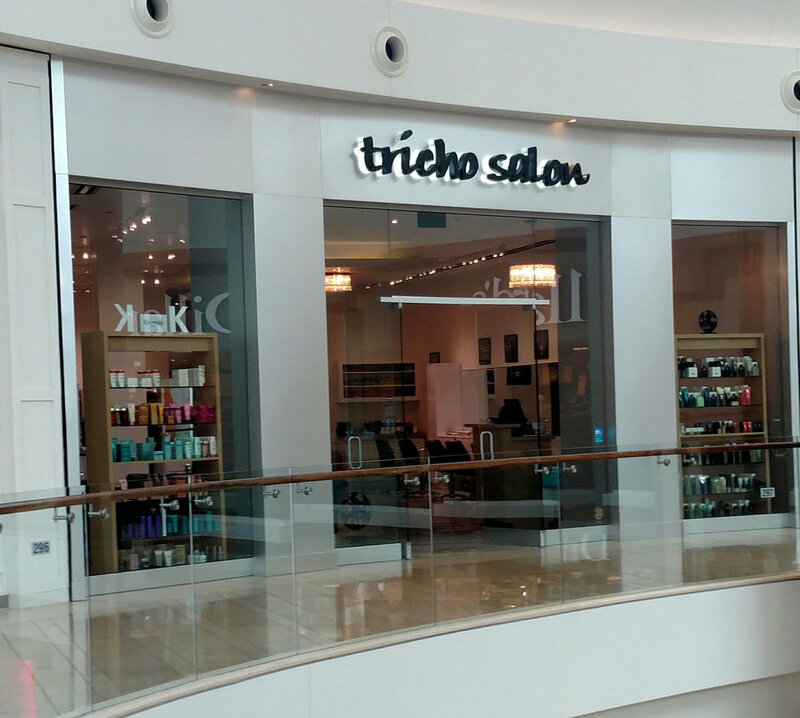 Since then, Tricho has opened stores in Twelve Oaks Mall in Novi, Partridge Creek Mall in Clinton Township and Somerset Mall in Troy, MI. Please inquire about scheduling wedding services at Tricho Salon and Spa. Please contact each salon individually to schedule your special day. Prices will vary per location.